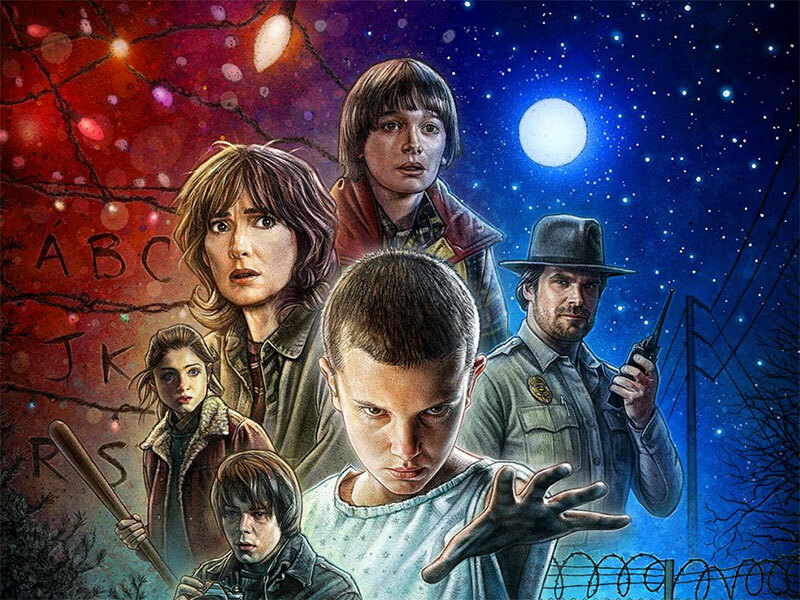 I’ve just reached the end of the new Netflix series Stranger Things, and I have to say it was the most enjoyable TV I’ve seen in a long time. 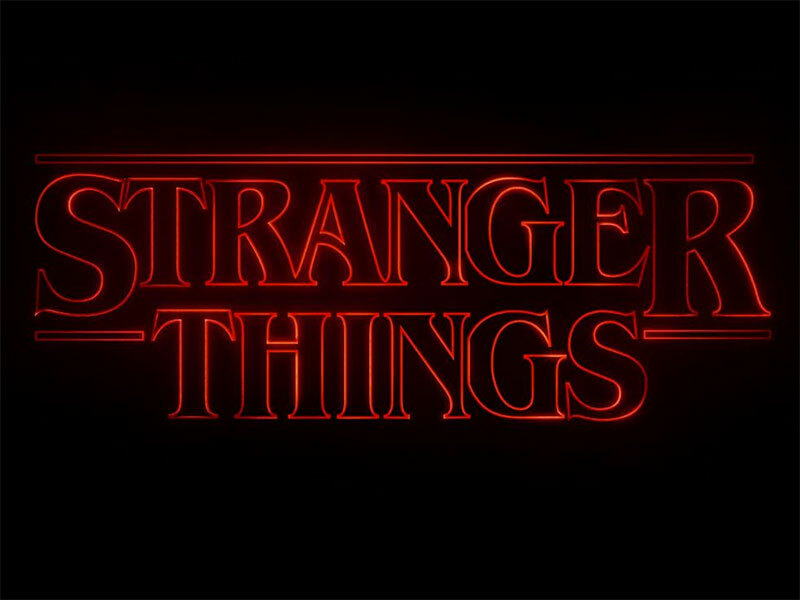 Written and directed by the Duffer Brothers, a major part of the show’s appeal (at least for me) is its retro aesthetic, which borrows heavily from a variety of iconic 80s movies; the most notable being ET and The Goonies. The overall style and execution seems to have struck a chord with many folks of a certain age, taking some familiar and well-loved themes and story beats, and wrapping them in a shamelessly nostalgic package. As the series progressed though, the level to which the Duffer Brothers borrowed from other sources began to grate with me a little [SPOILERS AHEAD]. 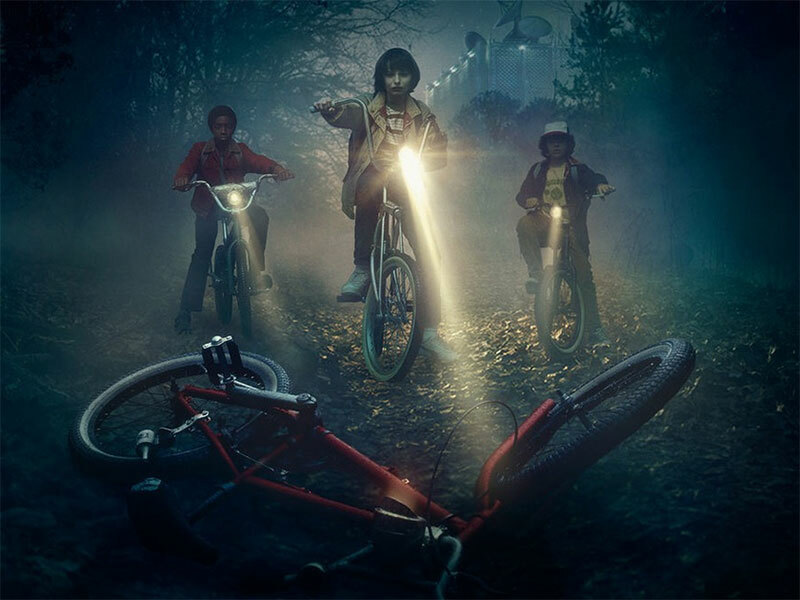 Kids on bikes being chased by sinister government agents, who manage to escape when their special new friend uses superpowers… I wouldn’t be surprised if that sequence alone didn’t prompt a phonecall from Steven Spielberg to his lawyers [END SPOILERS]. That’s not to say the success of the series relies solely on its more derivative elements. Even without the striking similarities to other sources there’s a great story here, and Millie Bobby Brown is incredible in the role of Elle/11. I don’t tend to watch a lot of TV – massively popular series like Game of Thrones and Breaking Bad have so far gone completely over my head. But the initial premise of Stranger Things was enough to draw me in, and the twists and turns (not to mention excellent soundtrack) were enough to keep me hooked right until the last scenes. In fact I enjoyed it so much I’ll probably be re-watching it very soon.